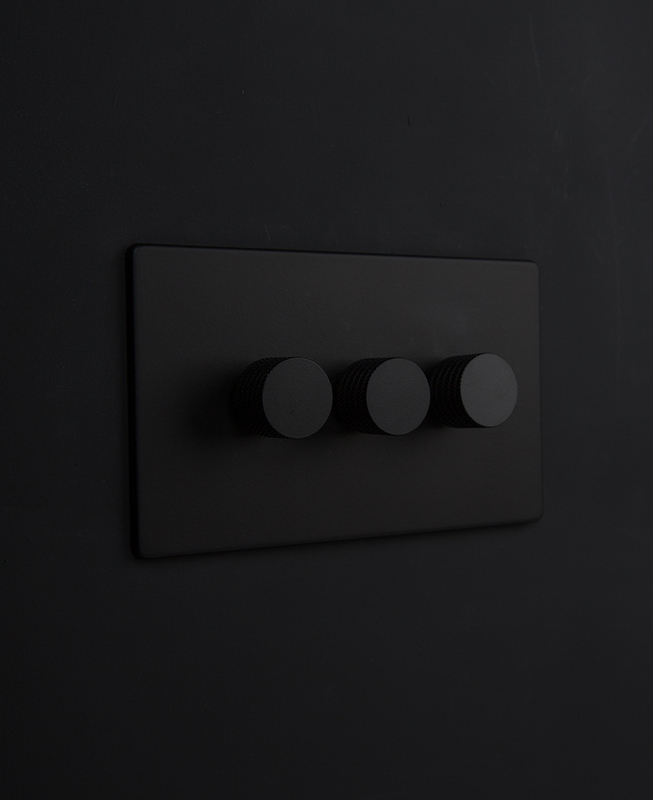 Whoever said three’s a crowd clearly hasn’t seen our black triple dimmer switch. We think three is just the perfect number of dimmer knobs to control all your lights in one place. And not only is it incredibly practical, it’s flipping gorgeous too! 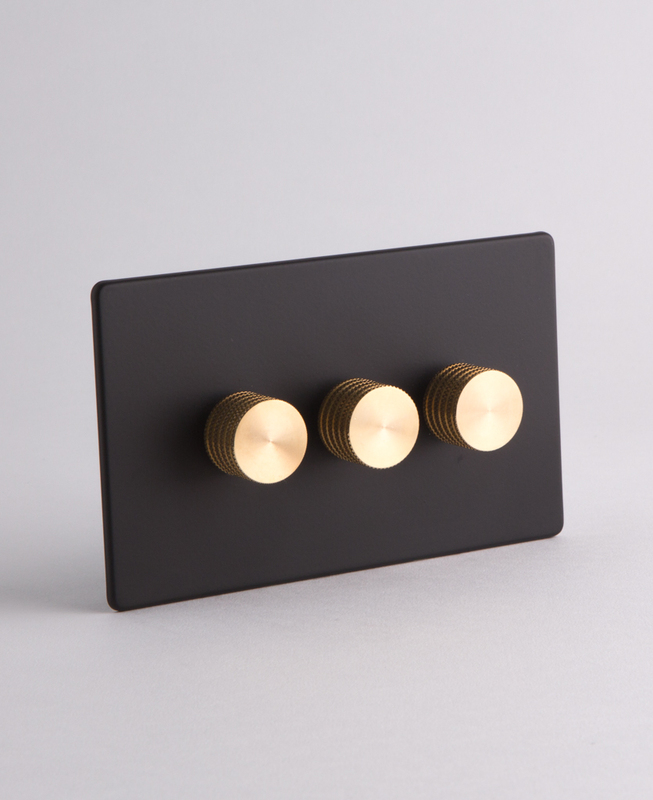 Understated and seriously cool, this is our new dimmer switch crush. You know what we wanted to write… about once you’ve chosen black switches you’ll never go back to standard white ones… But to be honest, it just sounded wrong. So anyway, there’s something a little sultry about this black switch and we just can’t get enough of it. 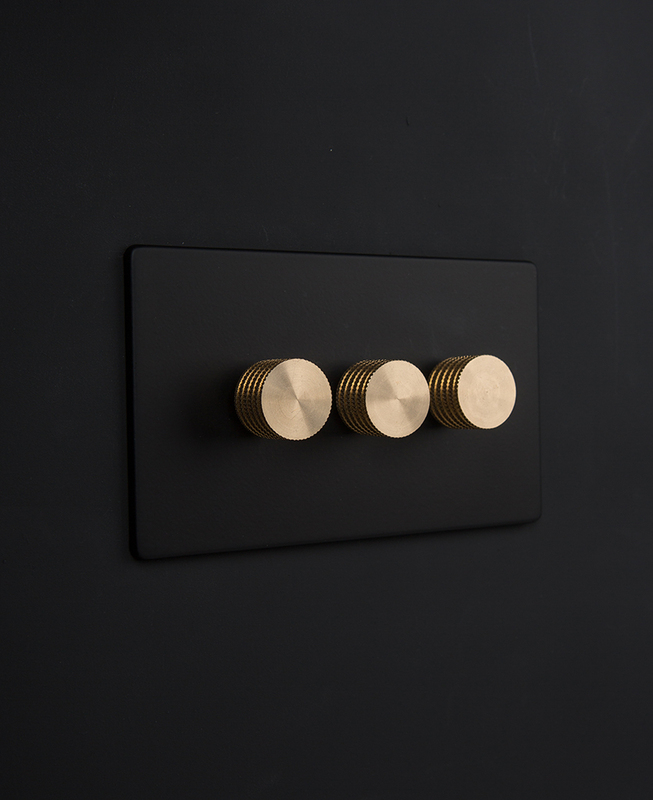 It’s the combination of the silky-smooth matt black finish of the plate, the softly rounded edges and the stunning knurled knobs that lifts this switch to a whole new level. There are four different coloured knobs to choose from, each one completely changing the vibe of the switch. Don’t ask us to choose one though as we could be here for hours. Instead, we’ll leave that decision up to you. Because this black switch is simple and unfussy in its design, it works really well on textured backgrounds like brick, concrete or wood. And if you’re a die-hard white walls fan then what a brilliant way to inject a little pop of interest to a wall. 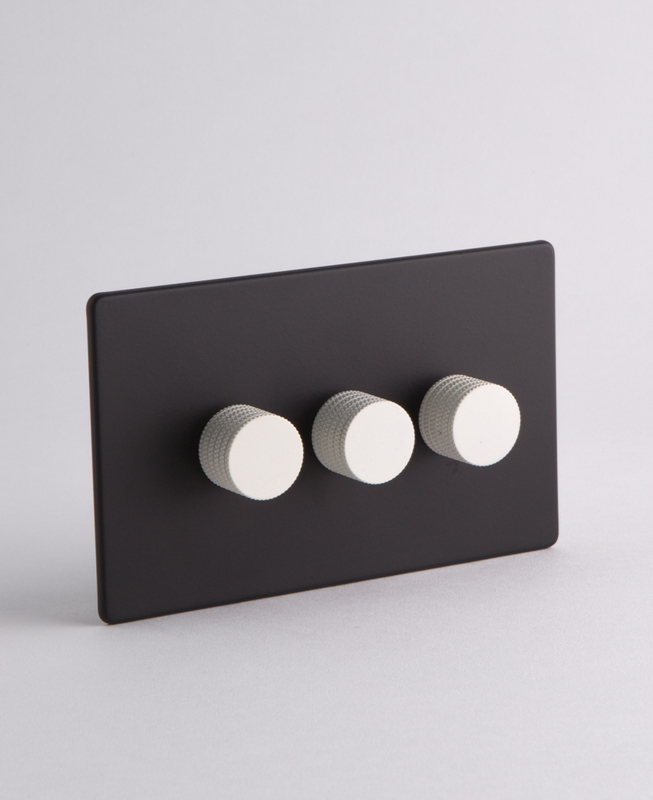 Go for the black knobs for an ultra-sleek look, or the white knobs to add a bit of fun. Or how about gold for luxe-y art deco look and silver for a contemporary twist on a classic switch. See, told you we’re bad at making decisions! 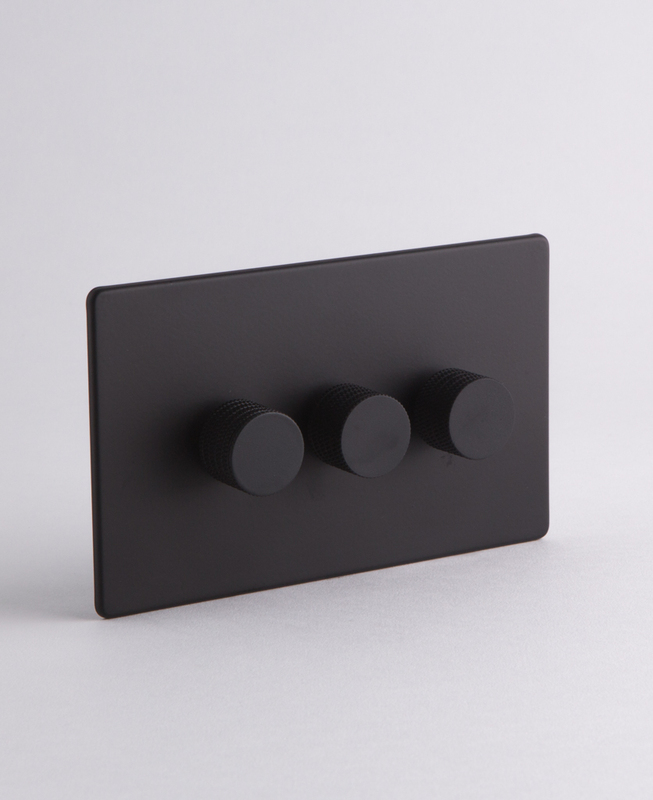 If you’re now hooked on black switches then you should know that this black triple dimmer switch is part of a collection of designer black metal light switches & sockets where you’ll find a whole range of coordinating dimmers, toggle switches and sockets. 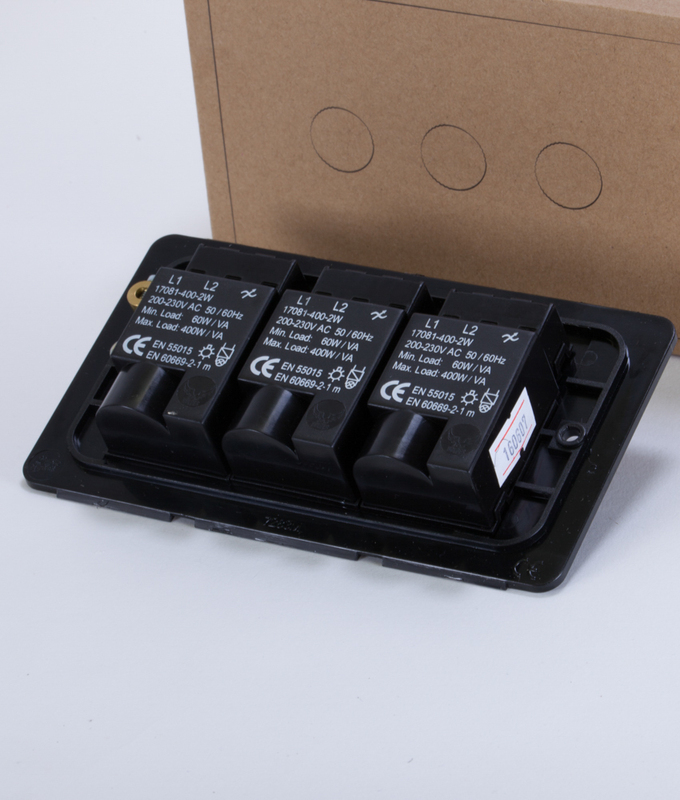 And if you’re unsure what type of switches and sockets you need then check out our guide light switches explained to find out the difference between 1, 2 & 3 gang plus when to use 1 way, 2 way and intermediate switches.